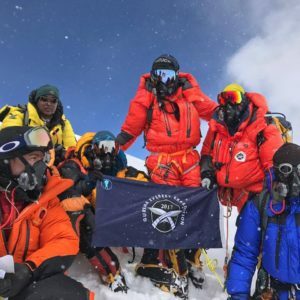 On Monday 15th May 2017 members of the Gurkha Everest Expedition reached the top of Everest, becoming the first to scale the world’s tallest peak this year. The 14 summiteers included three Gurkha soldiers. “They made it to the summit at 1:15 pm,” said Gyanendra Shrestha, a Tourism Ministry official. This is the first time that serving Gurkha soldiers have reached the summit. Then on Tuesday morning ten more of the Gurkha Everest team made it to the top of the world. This is a fantastic achievement for the Brigade and the British Army. 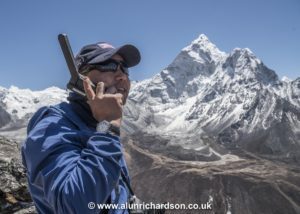 However, the Gurkha Everest Expedition did not wait. “The Gurkha team assessed the weather themselves. They decided to mount the summit bid considering the weather window, a period of time when weather conditions can be expected to be suitable for them to climb,” said Shiva Raj Thapa, managing director of Summit Nepal Trekking that is handling the Gurkha Everest Expedition. The team will now make their way down the mountain to the relative safety of Basecamp, regroup and prepare to return to Kathmandu and home to the UK. We will update our dedicated page for the Gurkha Everest team as the full story unfolds.